Over Spring Break 2014 our family went to Moab. 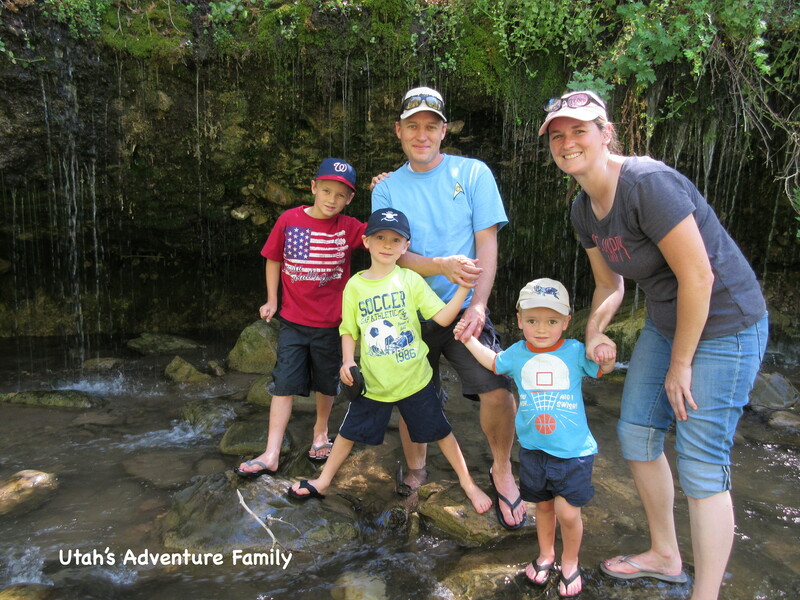 We found all the best adventures for children located in and around the National Parks in the area (We didn’t go south. There is SO much more to do in Monticello or Blanding). From petroglyphs, to dinosaur tracks, to bird refuges, to museums, to ghost towns, you’ll find it here! 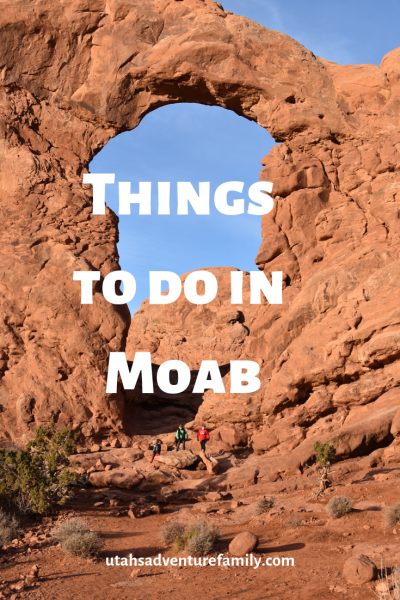 Click on the links to find out what to do in Moab. 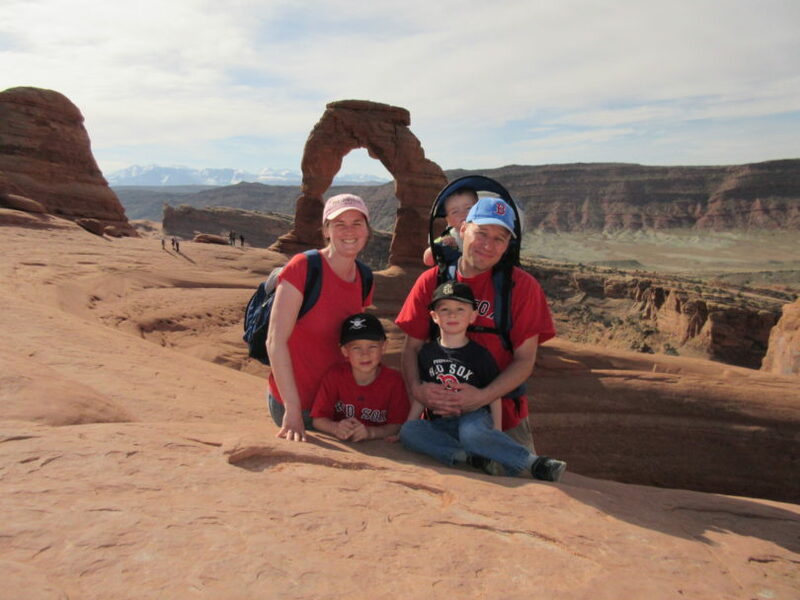 This the reason that many families come to Moab. 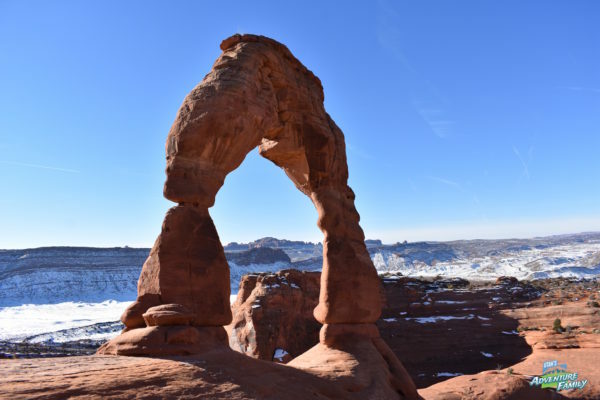 Plan to spend at least 2 days in the park if you intend to hike Delicate Arch. 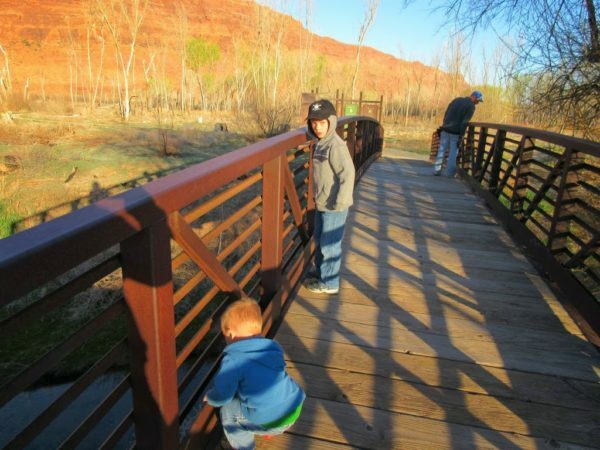 There is a Junior Ranger Program and many small family-friendly hikes. The north end of Canyonlands, called Island in the Sky, is located north of Moab. There are hikes to several interesting places including prehistoric buildings, a geological feature called the Dome, and an arch. 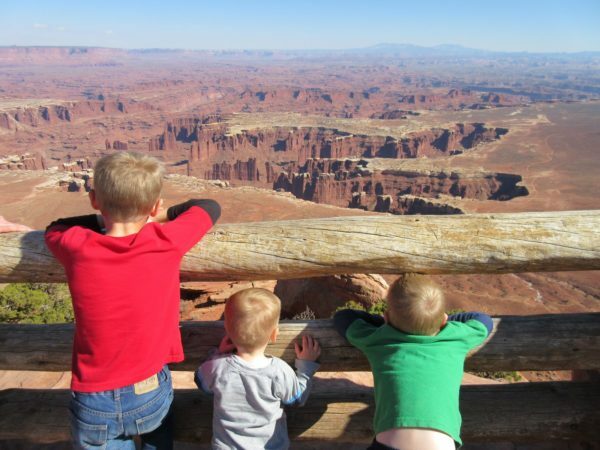 Plan to spend a little more than a half day at Canyonlands. Dead Horse Point is across the street from Canyonlands. Between the two parks, plan to spend a day. 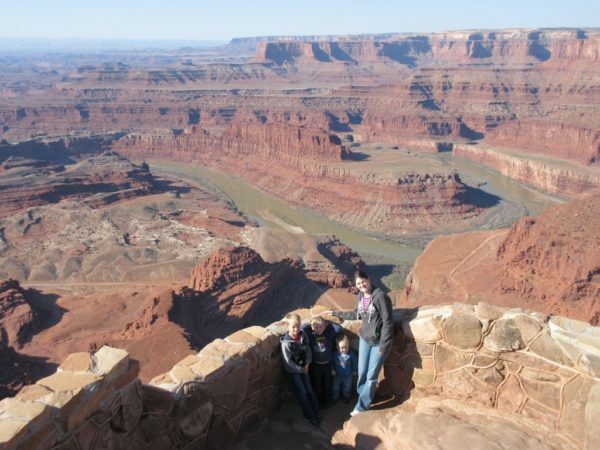 Dead Horse Point has a few great vistas, a small visitor’s center, hiking, and a Junior Ranger program. The town of Sego existed from 1910-1955. Located just 3 miles off I-70, you can easily stop and see some old coal town ruins. There are several mostly intact shacks and a huge company store. Make sure to stop by the Sego Canyon Petroglyphs, too. 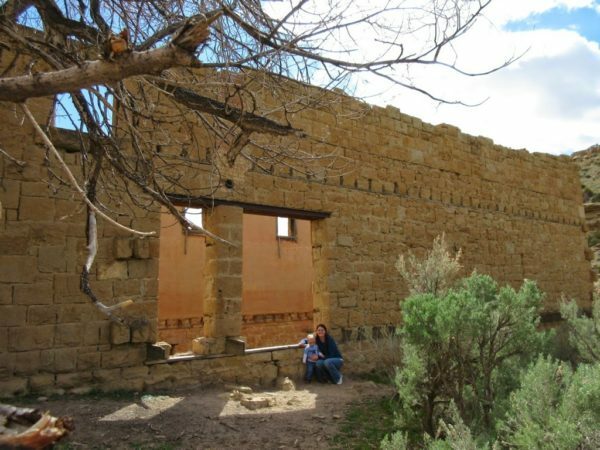 We had a great time exploring Sego Canyon Ghost Town. There are both painted and etched rock art panels located in Sego Canyon. 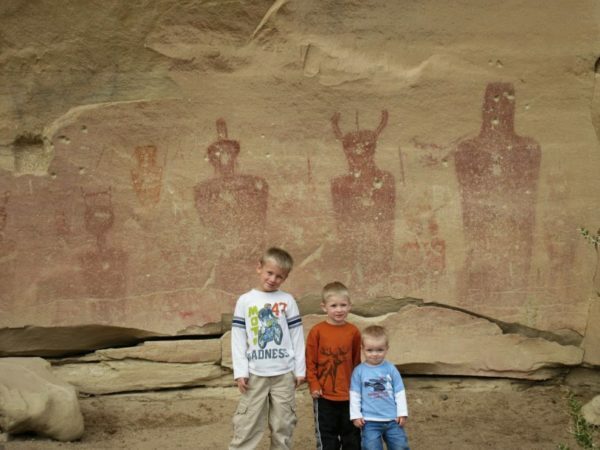 Some beautiful examples of prehistoric work takes you just a few miles out of your way on your trip south to Moab. Turn off at the little town of Thompson, and check out the ghost town, too. 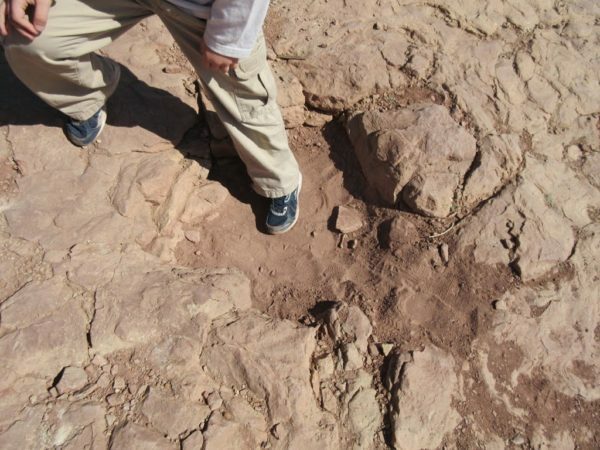 Copper ridge dinosaur tracks just north of Moab has three different kinds of dinosaur tracks. A huge sauropod, an allosaurus and and a small track are all well preserved in the mud. The hike is short, and the track is two miles off the highway. 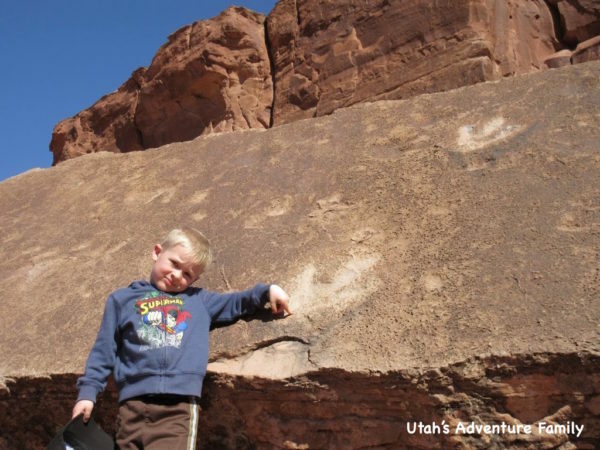 This short trail takes you past many dinosaur fossils embedded in the rock. Interpretive signs help you understand the fossils and their history. 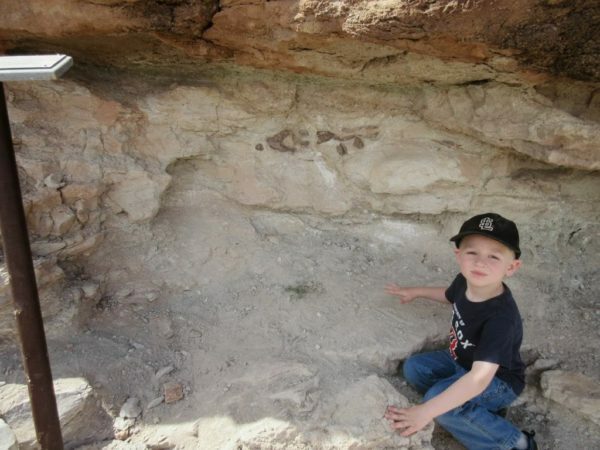 Poison Spider dinosaur track is located on the road to Potash. There are interesting petroglyphs to see along the drive to the trackway. A short fairly challenging climb leads you to one of the most perfect dinosaur sites we’ve ever seen (you can also see it through binoculars if the hike is too much). The preserve is located on the outskirts of Moab and is home to many birds at the right time of year. To get away from the crowds, check out the boardwalks on the preserve. 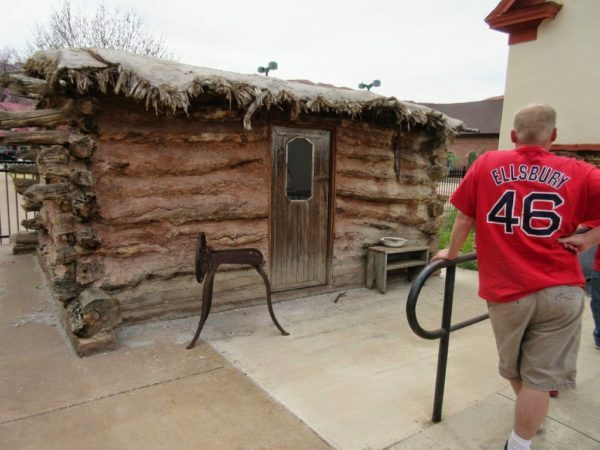 The small DUP museum in Moab has limited hours, but there is an original pioneer cabin with a brush and adobe roof. We got to ring the bell by pulling a rope, too! 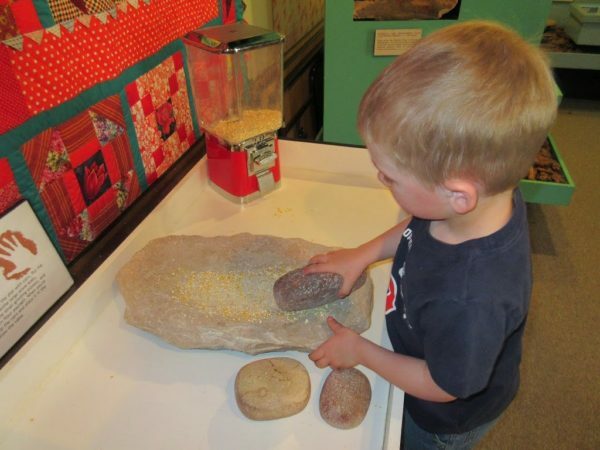 The Museum of Moab houses objects from the history of Moab including dinosaur times, prehistoric people times, and pioneer times. Our boys really enjoyed playing the player piano and looking for toy lizards hidden among the displays. 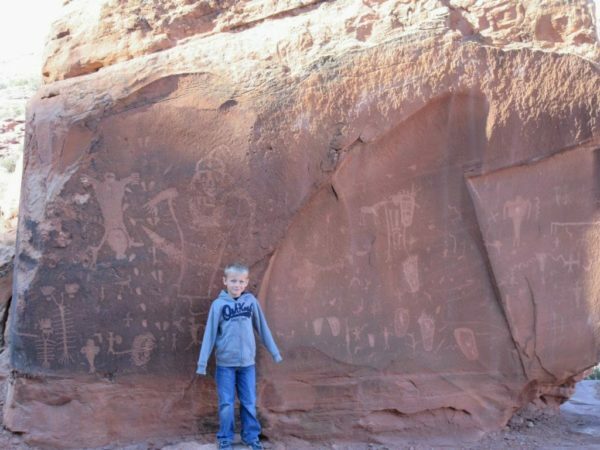 Along Kane Creek Road in Moab, you can find several stops for petroglyphs. Moon Flower Canyon and a rock with petroglyphs on all four sides including the famous “birthing scene,” can all be found by driving along Kane Creek Road. Corona Arch: This hike is on our list to try! It’s 3.0 miles round trip and highly recommended. 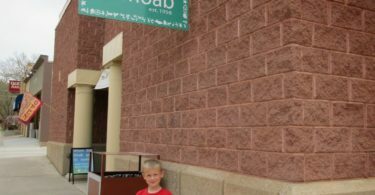 Moab Giants: A new dinosaur museum since we last visited with outdoor dinosaur displays as well. the closest bathrooms are over 2 miles away, it’s a great place to play and pee out doors. Everyone else does. Enjoy your buttslide. Thanks for posting this. Good stuff for people with kids. I reposted a link to here from the Discover Moab facebook page.